 The Strategic Banking Corporation of Ireland (“SBCI”) is a private company which receives business and support services from the National Treasury Management Agency (“NTMA”). The SBCI (as controller) and the NTMA (as processor) may therefore process personal data which you provide while visiting the SBCI website. Both the SBCI and the NTMA will process your personal data in accordance with applicable data protection legislation and for the purposes set out in the SBCI Data Protection Statement. Such personal data may for example include your email address (should you choose to contact the SBCI or the NTMA through any email address listed on the website) and your Internet Protocol (or IP) address. For further information, particularly in relation your data protection rights and how to contact the SBCI data protection officer (“DPO”), please refer to the SBCI Data Protection Statement, which is available here. Links to other external websites are inserted for convenience and neither the SBCI or NTMA is responsible for the content or the privacy policies of any external websites.